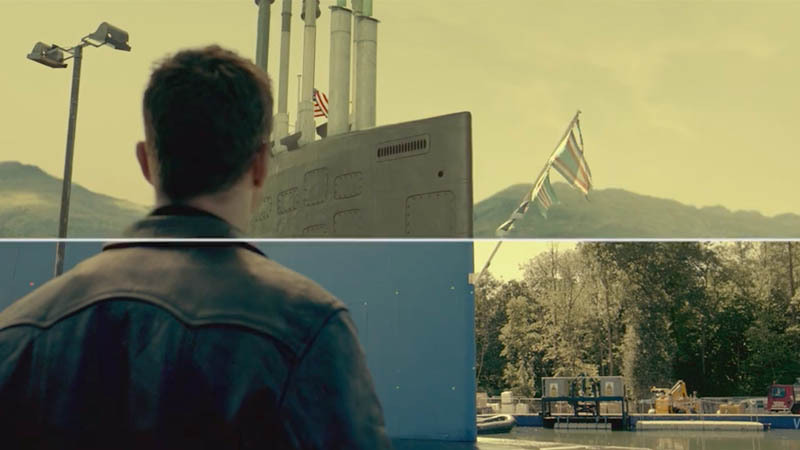 WorldWide FX delivered more than 600 breathtaking shots for “Hunter Killer”. Shots included achieving a realistic underwater environment with visible details even during the night; realistically simulating underwater explosions; recreating huge objects such as American and Russian submarines in great detail. WorldWide team created everything from set extensions to full CG underwater environment. Spin VFX delivered 108 shots for action movie Hunter Killer. From underwater submarine sequences, to a sky diving plummet through a storm, SPINVFX created photo-real, and adrenaline-filled moments that formed the iconic scenes from the film.